Supporters surround car of released murderer of Israel schoolgirls. Large party to be held in his honor. A hero's welcome is planned for the Jordanian soldier released last night after serving 20 years in prison for murdering seven Israeli schoolgirls during a class trip in 1997. Ahmed Daqamseh was a soldier in the Jordanian army when he opened fire on a group of students who were visiting the “Island of Peace” of Naharayim on March 13, 1997, as part of a class trip. Daqamseh was sentenced to life in prison for the massacre, which in Jordan usually means 25 years in prison. However, he was released five years early following repeated calls for his release. 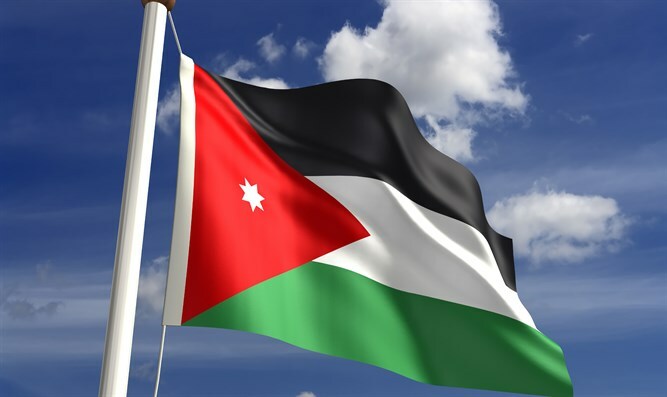 In 2013, 110 out of 150 Jordanian MPs signed a petition calling for his release. Daqamseh's car was surrounded by supporters after his release Saturday night. The supporters chanted, cheered, and filmed the event as the vehicle made its way towards his village. His tribe planned to hold a large party in his village Sunday afternoon for Daqmeseh, who they call a "hero soldier."